This is an obscure but neat read originally posted October 9, 2007. The majority of it is dedicated to my experience as member of the team at Phantom Forest Hayrides in Grosse Ile during one weekend that season. Unfortunately the pictures that I reference several times are not available anywhere on Horrorlust. Also included in this entry is a link to a short, but vital article about Night of the Living Dead — it is highly recommended. 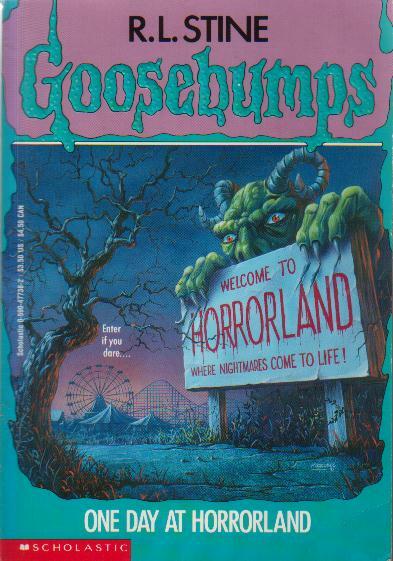 Last Friday and Saturday I worked at Phantom Forest Hayrides but before I get to my review of that experience I have a number of other Halloween related topics to cover. Well quite obviously I have yet to find a more suitable title for this column although Hallowblog is actually growing on me so it may not change at all. I had thought about titling it Bad Moon Rising after the song but it didn’t seem sufficient and I haven’t thought of anything else. So be it. A lot of networks feature Halloween themed programming in celebration of the season, a few notable examples are 13 Days of Halloween which runs on the Sci-fi channel beginning Friday, October 19 and 13 Nights of Halloween on the ABC Family channel premiering the same night. This Friday we’ll be hitting some combination of the downriver haunts. The Lab in Grosse Ile and Hell’s Hospital in Wyandotte make a good natural coupling when considering routes. If time allows for a third haunt The Scream Machine or Anxiety Alley would do nicely. I would also like to do some haunting on Saturday. Missy and I have talked about heading to an orchard, The Festival of the Dead in Belleville has my vote but if we don’t do that we may just knock out a local haunt. If it’s a local haunt The Realm of Haunted Minds in Romulus or Papp Park Panic Attack located in Taylor would make worthy candidates. My experience at Phantom Forest Hayrides was a lot of fun. When I first arrived I took a tour of the trail and snapped a number of pictures which have been posted in a separate album labeled “Phantom Forest Hayrides.” Initially I thought the sets were slightly lackluster and unlikely to scare very many people but as the sky darkened the woods grew increasingly menacing. The trail offers up a naturally frightening ambience as it is set in a heavily wooded area with active wildlife stirring up mysterious sounds in the brush. I witnessed several deer on the trial and had a number of instances when something large moved in the dense woods out of sight. I told myself it was deer but try to maintain that thought when you’re alone in the woods surrounded by darkness. As it turned out I was the first and last scare that customers would experience, in all there was only seven people working the event, each responsible for two spots save for the old guy named Leonard. Most members of the staff had walkie-talkies so everybody usually knew precisely where the tractor was. When the tractor was set to enter the driver would radio that they were indeed heading in and I’d hide in the brush and set off a fog machine. Typically I’d let about half of the wagon pass before leaping forth and that seemed to be a good strategy. After each wagon passed me it was pulled through a black tunnel and then around a corner. Obscured from view I’d begin to walk the path to my next spot. I followed the same path as the tractor until the gang of grim reapers at which point a clearing was cut through the woods and it was here that I was able to gain access to the opposite side of the trail which probably seemed like quite a distance to anyone unaware of the short cut. The hearse scene which is also included in the pictures served as my second spot and what a great spot it was. By night the scene is flooded with an eerie greenish-blue light and I was positioned behind a tree on the opposite side of the road. It was very rare that anyone turned their gaze from the hearse scene probably convinced one of the figures would move and therefore the attack from the other side was almost always pulled off with much success. My favorite scare may have been a woman who literally threw herself off the bail of hay which she sat upon and squirmed on the other side of the tractor floor. The whole back and forth ordeal became a bit of a workout when business picked up and the operators began running two tractors. It was unseasonably warm last weekend but I opted to wear a hoodie anyway so that I could protect myself from mosquitoes and poison ivy. I worked up quite a sweat hustling back to the first position as the call typically came over the radio that another tractor was pulling out before I’d even passed the grim reapers. The staff was nice and has been running the attraction for eight years. Its family owned and operated and I feel quite well run for the decided lack of quality help. I asked Leonard (the old guy) how much the ad in the Fear Finder cost and he told me it ran about $600. That’s just to have the basic information printed in the back section by the maps; booming publication Mr. Terebus and company are running, isn’t it? Phantom Forest Hayrides isn’t going to give you terrifying scares or striking eye candy, it lacks in sleek props and deathly scares but the creepy natural ambience balances things nicely. Much of the experience will rely heavily on the workers whose enthusiasm can wax and wane throughout the night. At just $8 (that includes cider and a donut) I think it’s a great place for younger audiences and ideal for families. Adult and teen haunt-goers will want to seek something more elaborate if tension and fear is what you seek. Although if you’re in the area, for example at The Lab, Phantom Forest Hayrides would serve as a good buffer haunt before hitting that next terror filled endeavor.